Glistening turquoise water, endless swaths of white sand, palm trees rocking lazily in the ocean breeze; the phrase “Caribbean island” evokes such idyllic images. If you’re lucky enough to have spent time here, you know that reality exceeds expectations. When planning a trip to the Caribbean, the difficulty lies not in if, but in where. After all, more than 7,000 islands are sprinkled throughout this region and each island has its own landscape, attractions, culture and vibe. Deciding which island on the map gets the red pin can be a challenge. Use our guide to the most popular Caribbean destinations to choose the best island for your next beach vacation. Long a synonym for a tropical paradise, the Bahamas offer mega-resorts with countless activities for couples and families, as well as less-visited islands where quiet and solitude are the most sought-after commodities. 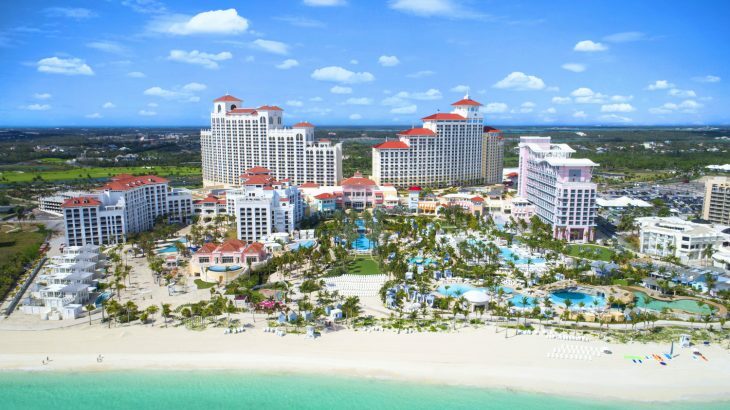 Among the most popular resorts is Baha Mar—a 1,000-acre development on Cable Beach in Nassau that boasts three hotels, over 27 restaurants and bars, 2,200 guest rooms and a 100,000-square-foot casino. Or, Atlantis Paradise, another Nassau resort that features six hotels along with “Aquaventure,” a waterscape that includes lagoons, pools, water slides and river rides. For those who want to avoid the crowds, beautiful and quiet Eleuthera Island is just 20 minutes—and a million mental miles—from Nassau. 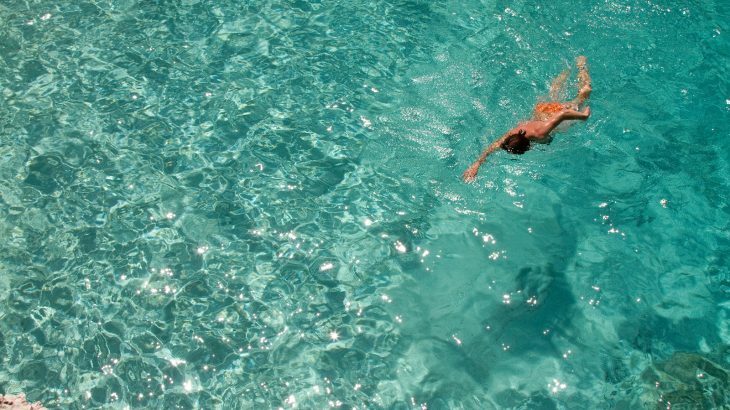 The Cove, a 57-room resort on Eleuthera, is a Caribbean hideaway where unwinding and relaxing is practically mandatory. The island that gave us Bob Marley and Usain Bolt has a lot going for it. Over-the-water suites, like at Sandals Royal Caribbean, aren’t the only draw. Jamaica is also one of the best nightlife spots in the Caribbean: the “Hip Strip,” Gloucester Avenue, is chock full of clubs, bars and restaurants. Ocho Rios, a former fishing village on the north side of the island, is now a resort town with beach hotels, international cuisine and excursions to Dunn’s River Falls and the Green Grotto Caves. In the west, the town of Negril is all about sandy beaches and authentic jerk chicken. While there, visit famous Seven Mile Beach for sparkling aquamarine water and endless Jamaican sunshine. Plenty of beach and bustling urban life combine to form the distinctive capital of Kingston. For easy access, fly into the Norman Manley International Airport instead of the Sangster International Airport. If you’re a reggae enthusiast, visit Bob Marley’s house in Kingston or the Reggae Sumfest music festival in July. 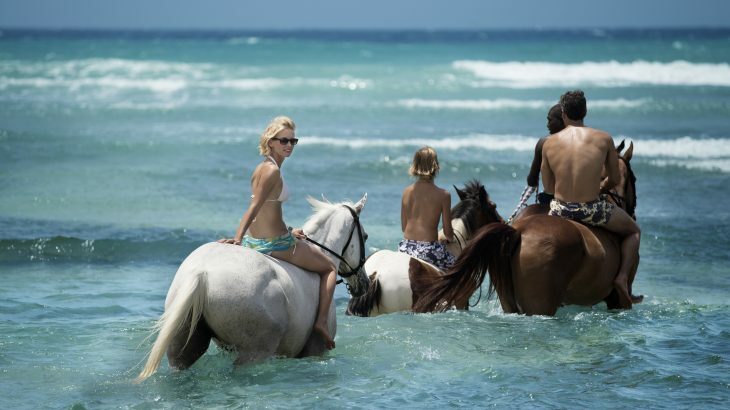 A trip to Jamaica wouldn’t be complete without a horseback ride along the stunning beaches. Stay at Half Moon Resort, a beachfront property equipped with its own equestrian center for the full experience. These jewels in the sea aren’t just for offshore banking. 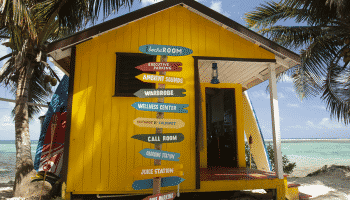 Visitors range from the very wealthy to economy travelers who want a perfect island getaway. The Cayman Islands are home to a range of beach resorts and activities. Ritz-Carlton Grand Cayman on Seven Mile Beach (the Caymans have one too!) is a luxury resort laden with amenities and beachfront access that is second to none. One of the main attractions on Grand Cayman is Stingray City, a series of sandbars where visitors get up close and personal with stingrays in their natural habitat. 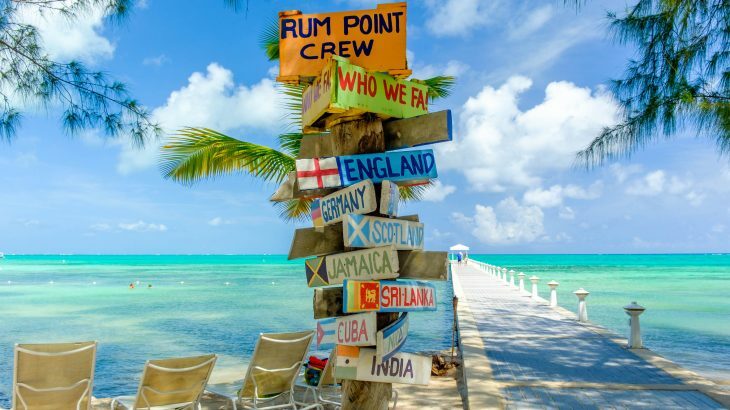 Rum Point, on the northern shore of Grand Cayman, is a picturesque promontory with options to keep both kids and adults occupied. If you’re still not intrigued by Grand Cayman’s offerings, you can go to Hell, a quirky tourist attraction of million-year-old black limestone deposits. It’s easy to get there, you just head down Hell Road. The “A” in the Dutch ABC Islands, Aruba is the beneficiary of trade winds that keep it cool and tranquil virtually every day of the year. Wind sports on Hadicurari Beach, casinos and authentic cuisine abound. 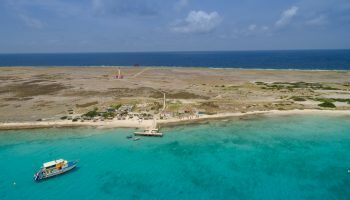 Aruba has its fair share of casino resorts, but the Renaissance Aruba Resort & Casino in Oranjestad literally has its own private island. Explore the property’s forty acres equipped with an adult-only zone, ocean-view rooms with private balconies, and world-class diving sites. 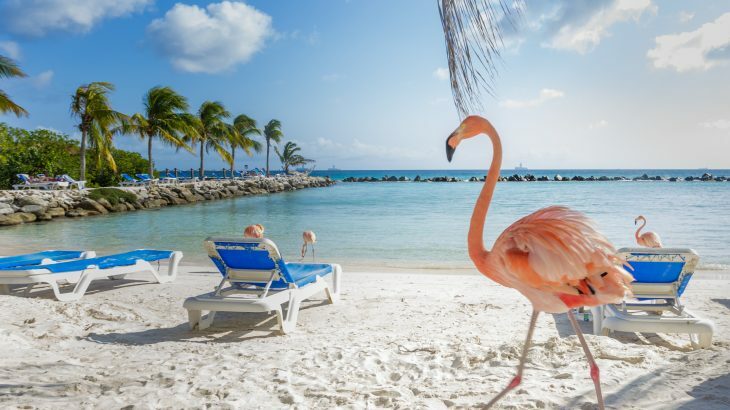 Among the permanent residents of Aruba are flamingos, you can find the friendly pink birds at Flamingo Beach on Renaissance Island. They can often be seen approaching human visitors and eating right out of their hands. Divi Divi trees, shaped by the winds into fantastical shapes, grow right on the beach and add a dash of bizarre dreaminess to any beach photo. The capital of the island, Oranjestad, has a fort dating back to the 18th century, an archeological museum, a history museum, charming Dutch architecture and plenty of shopping and dining options. Three islands make up this United States territory: St. John, St. Thomas and St. Croix. Each has its own atmosphere and vibe. While St. Thomas is the most developed—and most commercial—of the three, St. John is a nature lover’s paradise, with nearly 60% of the island designated as a national park. The largest city in St. John, Cruz Bay, is a quaint mixture of shops, condos, local vendors and great restaurants. Trunk Bay, on the north side of the island, is perfect for swimming or a world-class snorkeling experience. With more than four million visitors each year, the Dominican Republic is easily the most popular destination in the Caribbean. It has a little of everything: waterfalls, mountains, deserts and, of course, beaches. 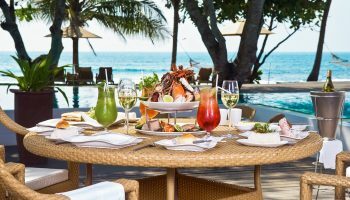 To sweeten the deal, the all-inclusive mega-resorts in the Dominican Republic offer some of the best deals anywhere in the Caribbean. 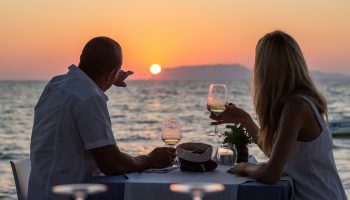 The capital city, Santo Domingo, pulses to a Latin beat both night and day, while in the east, the town of Punta Cana occupies some of the most spectacular real estate in the western hemisphere. 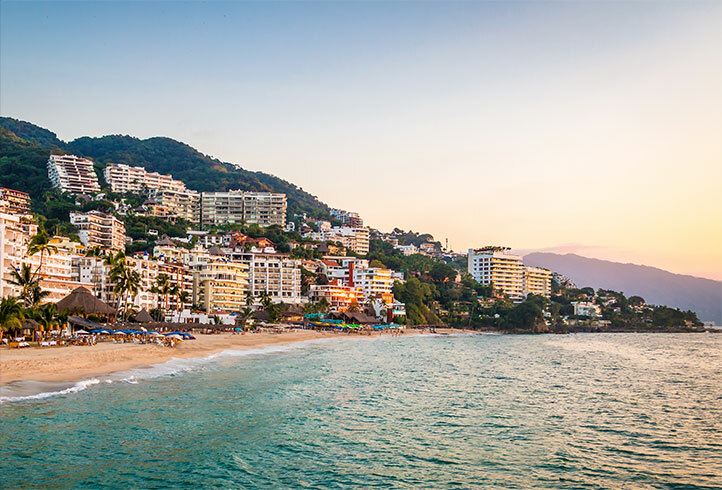 No less than 20 miles of beaches splay across “La Costa del Coco”—the Coconut Coast—and provide unrestricted views of the crystal-clear turquoise sea. Windsurfing, zip-lining, kayaking and sailing are always in season in the warm waters of DR. 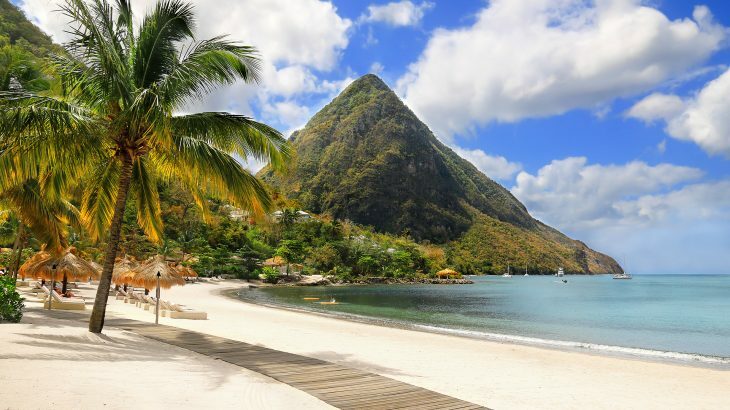 While beaches are the undisputed main attraction in the Caribbean, St. Lucia is one of the most mountainous islands in the whole region. On the west coast, The Pitons, two volcanic spires jutting more than 2,400 feet towards the sky, are a draw for both shutterbugs and climbers. The interior of the island is made up of a rainforest, waterfalls and botanical gardens. Volcanic beaches and quaint fishing villages dot the shore, and the reef at Anse Chastanet is an award-winning marine reserve and top dive site. 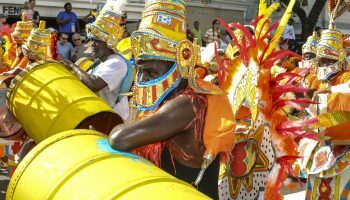 For culture and local cuisine, be sure to check out the rum punch at the Gros Islet Friday Night Street Party and the fresh produce and juices at the Castries Market on Sundays. 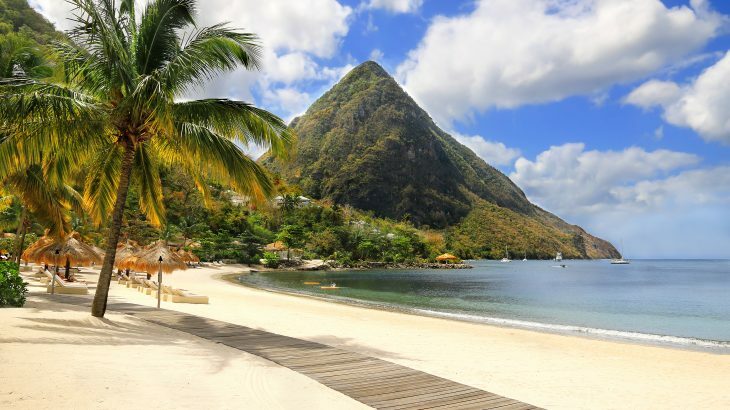 If there is a top honeymoon destination in the Caribbean Sea, it’s St. Lucia. Resorts such as Jade Mountain and Ladera strive to provide a perfect setting for privacy and romance. Open rooms feature private plunge pools and stunning views of the sea and the Pitons. Slightly north of the Dominican Republic are the Turks and Caicos Islands, a British territory comprised of about 40 islands. 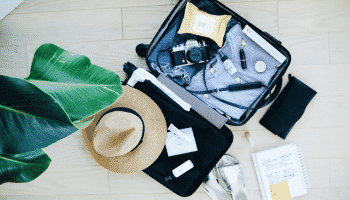 Tourism has burgeoned here in the past two decades, and many hotels and family-friendly resorts have been built to accommodate the growing number of visitors. Gansevoort Turks + Caicos, on the most populous island of Providenciales, is located on spectacular Grace Bay and described as a blend of ‘urban chic and Caribbean cool.’ Ninety-one rooms—many with breathtaking ocean views—and a 7,000-square-foot infinity pool help make it a Caribbean experience par excellence. 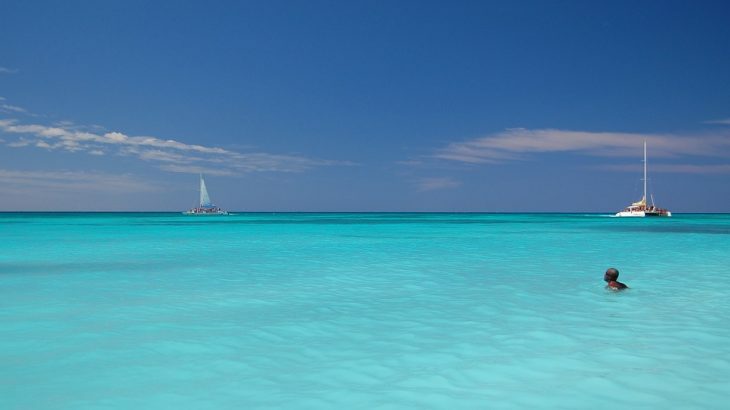 Grace Bay Beach sweeps across the northern end of the island for no less than 12 miles, with pristine white sand and shining turquoise water as far as the eye can see. Numerous laid-back beach bars are sprinkled across Grace Bay Beach, and a few steps away are hotels, shops and restaurants. 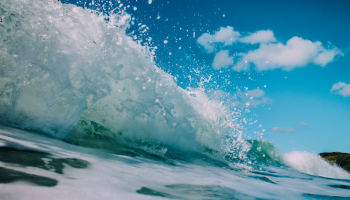 The diving and snorkeling are primo; the 14-mile barrier reef off the north shore of Providenciales is a spectacular diving site, while the 7,000-foot underwater wall off Grand Turk Island is simply bursting with marine life. 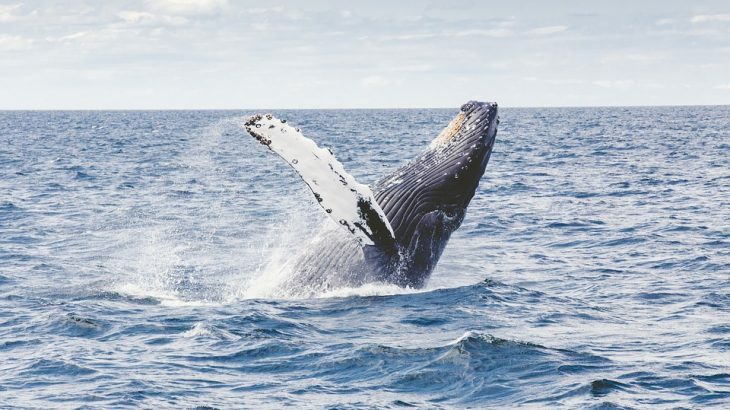 And, if you visit during January-March, you may be lucky enough to spot the humpback whales on a private charter with Crystal Sea Adventures.